Welcome to our guide to the best portable wireless Bluetooth speakers ranging from high-end Bluetooth speakers to budget Bluetooth based on value for money, performance, ease of use and consumer feedback. For years portable speakers have been growing smaller and smaller from the humble origins the clunky boom box. Many have even become totally wireless. Portable Bluetooth speakers are becoming more and more popular, with users able to easily pair them with playback devices such as phones and tablets via Bluetooth and aux cables, bringing a whole new level of music on the go. We can now practically carry around a boom box in a device small enough to fit in our pocket. Their use is not only limited to music playback, but many also function as speakerphones and microphones for Skype calls and phone calls. We at SpeakerNinja have put together a carefully researched buying guide of the best portable Bluetooth speakers for any budget. We also recommend downloading one of these equalizers apps for android, or one of these equalizer apps for iOS when playing music off of your mobile phone. 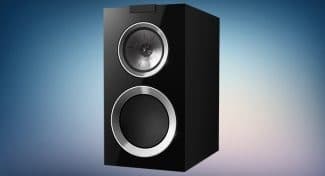 They could make a massive difference in your overall listening experience depending on what needs to be tweaked to bring the most out of your wireless speakers. The Amazon Echo is a smart speaker that has received more than 50k reviews on Amazon.com, with roughly 42,000 of those being positive. The Alexa Voice Service gives users many supporting features, such as answering questions, reading audiobooks, playing music from Spotify, Amazon Music Unlimited, Pandora, iHeartRadio and TuneIn. These are but a few examples, the the Echo truly is capable of a lot. 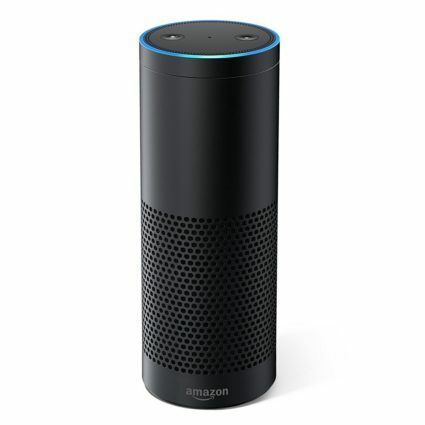 Because Alexa is cloud based, there are constant updates and according to Amazon.com, she literally gets smarter with every interaction, adapting to one’s speech patterns, vocabulary, as well as one’s personal preferences. The Echo has “skills”, thus far being able to order Domino’s pizza, call an Uber and it can even control your smart home. Amazon states that the list of skills are growing constantly. One can see that this speaker is really quite capable and versatile, offering so many voice-assisted conveniences. Many users liked that it had the ability to follow your voice around a room even with music playing. 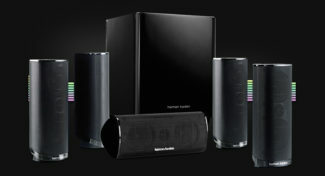 The sound quality has received positive feedback too, with not many negative reviews on Amazon.com about it. However, the negative reviews included bad customer support for those who struggled with some of the devices features, as well a few defective devices received by customers. The Amazon Echo is a versatile hands-free, voice assisted speaker that offers convenience in busy times. The Amazon Echo is a versatile and convenient hands-free, voice-assisted smart speaker that will make your life significantly easier, but the customer support may be poor and there are a few defective devices being sent out. 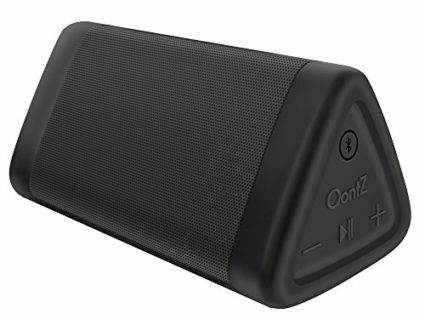 The Cambridge SoundWorks Oontz Angle 3 portable Bluetooth speaker is a bestseller on Amazon. Its sturdy casing design and shape impressed many a buyer and many were happy with the sound quality. 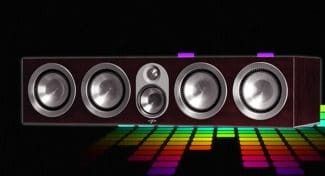 They are said to produce a decent amount of bass for a speaker that is only 5.2 x 2.8 x 2.5 inches, with the two precision acoustic drivers pushing out overall loud volumes. It has a battery life of around 12-hours when played at a reasonable volume, and comes with a built-in mic for hands-free purposes. Users found that the Bluetooth connection is stable and can reach around 30ft. 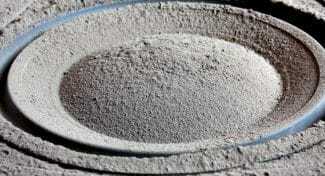 It is also lightweight (10-ounces) and combined with the above mentioned dimensions, it is super portable. It has an IPX5 rating, meaning it is splash resistant, but cannot be fully submerged in water. It has a mini-USB port, which is a bit less convenient compared to most other Micro-USB ported devices. Some users also found that although initially the speaker seemed super solid in terms of its design, it only lasted a few months before it stopped charging or before it just stopped working. The Cambridge SoundWorks Oontz Angle 3 has good sound qualities and a thumping bass for a portable speaker that is so lightweight and small, but it does not seem to be built to last. The Cambridge SoundWorks Oontz Angle 3 has a unique triangular prism shape and produces decent sound quality that packs a decent low end punch, but its durability and awkward button location frustrated some customers. The Anker SoundCore boasts an excellent battery life of around 24 hours thanks to its high capacity Lithium-ion battery. 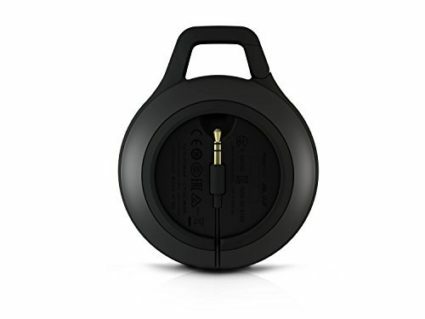 It charges with a micro USB cable and it has a massive Bluetooth range of around 66-feet. Most liked the overall sound quality, but some did find that the speaker drives out very little bass, with the sound being focused in the mid and high frequencies. Some may not like the large “Anker” branding on the front grille, but overall, the speaker is well constructed and has a solid feel to it according to reports. Its built-in microphone is said to deliver clear calls and its overall loudness has proven to be more than satisfactory for users. With less than 1% total harmonic distortion, your audio quality will remain clear at higher volumes. It is also reasonably well priced for the audio quality that it delivers, and based on it popularity amongst Amazon buyers, it seems to be a good choice for those looking for a rather inexpensive solution to portable sound. 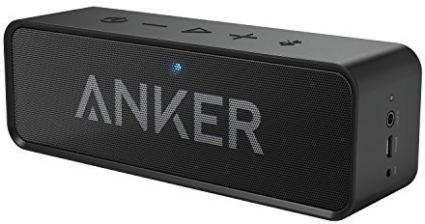 The Anker SoundCore is a relatively affordable Bluetooth speaker that is easily portable and it does have a good mid and high frequency response, but it does lack a bit in the lower frequencies. AmazonBasics BTV1 has two 3-watt speakers that produce a great sound at reasonable volumes according to Amazon reviewers. Its dimensions are 7.3 x 2.4 x 2.8 inches and it has a solid, stable build, weighing in at just 1.2-pounds. Some reviewers pointed out that although it can handle loud volumes, the sound does become a little muddy and a slight distortion can set in. Users have pointed out that it pairs easily with Bluetooth enabled devices, including smartphones, notebooks, or tablets. The speaker doesn’t come with a 3.5mm audio cable however; this needs to be purchased separately. 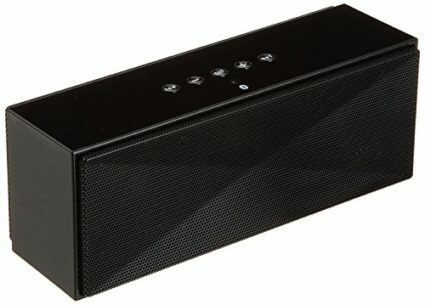 The BTV1 provides a highly respectable battery life of up to 15 hours while listening to music or taking calls, and it also has the ability to charge very quickly with the use of a simple USB cable.Overall, the affordability along with output and portability of this Bluetooth speaker makes it a great buy for anyone looking for portable, wireless speakers. The AmazonBasic BTV1 Bluetooth speaker is a great speaker with a great battery life, great Bluetooth range and great for Skype calls or voice calls. it may lack bass however and it can distort at higher volumes. 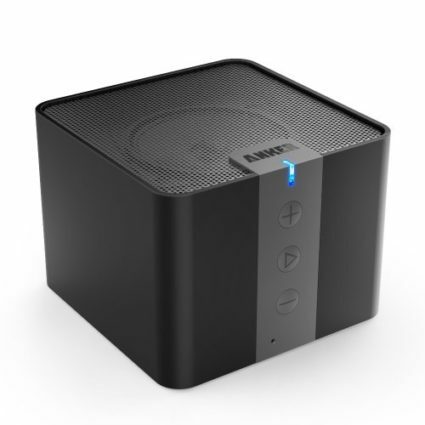 The Anker AK-99ANSP9901-BSA is cube shaped portable Bluetooth speaker that has a 15 to 20 hour playtime. The Bluetooth connection range of 33-feet is plenty; however, it may not be far enough for some users. Its 4-watt, 2-inch driver and bass port offer a solid sound, although some users pointed out that it may lack some treble, while others pointed out that at higher volumes it can distort. Its built-in microphone and 2-feet pick up range allows the speaker to also double up as a speakerphone. It comes with 3.5mm audio port that allows you to plug in non-Bluetooth devices, not restricting you to the sole use of Bluetooth technology. Users also pointed out that it is roughly the size of a fist and the fact that it comes with a nice carrying case makes it easy to transport around with you. All in all the Anker Classic has received excellent reviews from users, and it isn’t hard to see why most buyers were so happy with their purchase. The Anker AK-99ANSP9901-BSA Bportable Bluetooth speaker has a great battery life and great bass response.However, at louder volumes it can distort. 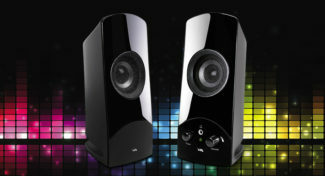 Great speaker for those looking for long playtime at reasonable volumes where it wont distort. The JBL Clip portable Bluetooth speaker is a powerful speaker that has a built-in carabiner for portability purposes. With its dimensions of 4.3 x 2 x 6.6 and its weight of 1.4-ounces, one can really get an idea of how small and portable this device really is. 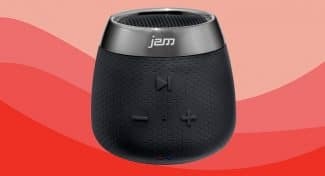 Users have pointed to its ability to play audio at high volumes without distorting as a major advantage over the other Bluetooth speakers in its price range. The battery was however a major issue for some. The product is advertised as having a 5 hour battery, while some users critically pointed out that it reached around 2 hours for them. The device can take a 3.5mm aux cable too, allowing it to not solely be reliant on the Bluetooth. The speakerphone function means you do not have to disconnect the device from your phone every time you receive a call. The JBL Clip is definitely a powerful Bluetooth Speaker that easily outcompetes similar Bluetooth speakers in its price range. The JBL Clip has loud a loud playback for those who enjoy lots of loudness. its overall excellent audio quality, portability and speakerphone function make this a Portable Bluetooth speaker. 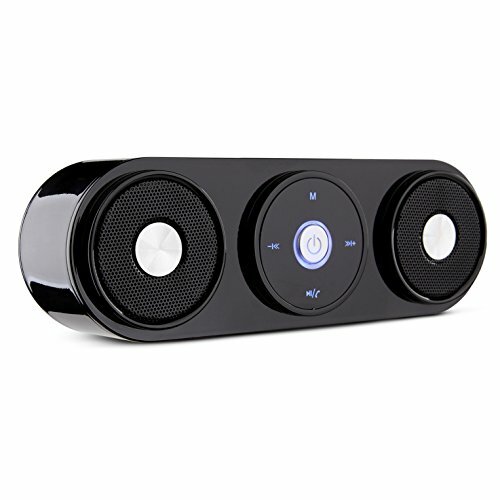 The Anker Premium Stereo speaker is a powerful Bluetooth speaker that is really popular for its bassy sound. It has the ability to play warm bass at loud volumes, but has been criticized for its distortion at lower volumes, suggesting one needs to really keep things playing at loud volumes to keep the sound clear. The bass is also said to be quite loud at lower volumes, with the mid and treble frequencies being drowned out. User have pointed out that it has a decent battery life of around 5-8 hours, which is dependent on how loud the Anker is being played. Some users were unhappy about the fact that this powerful speaker doesn’t come with a built in microphone, denying it the ability to act as speakerphone. It comes with an aux cable if you don’t feel like connecting via Bluetooth and it charges with a MicroUSB cable that is included in the packaging. It requires Bluetooth 4.0 and is easy to pair with playback devices. The Anker Premium Stereo is a great Bluetooth speaker that really offers the user a lot of bang for the buck. The Anker Premium Stereo is great speaker when played at louder volumes and because of how easy it is to pair via Bluetooth, it is a great portable speaker. JBL is a well established brand in the speaker world, and it doesn’t take much to see why the JBL Flip 2 is such a popular speaker. It has a huge sound for a tiny speaker. Its sound quality is excellent across all frequency ranges, delivering a good low-end bass and a crisp high-end. 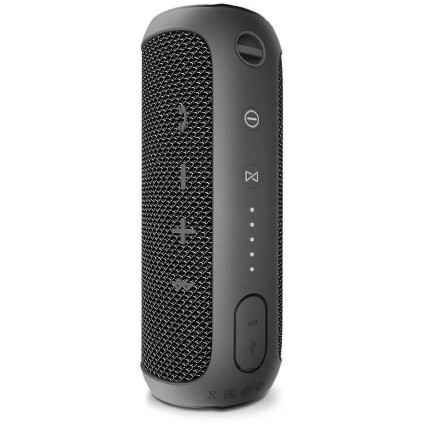 It is a Bluetooth 4.0 speaker with a range of around 30-feet that doubles up as a quality speakerphone, allowing you to take calls while in use. It comes with a micro USB for charging purposes, but users have been quite unhappy with its short battery life, suggesting it lasts only 4-5 hours. Another issue seems to be that although the speakerphone plays the caller voice well, the built in microphone can be quite soft, meaning one needs to talk quite loudly. The JBL Flip 2 is 7.5 x 7 x 3 inches and weighs in at 1.6 pounds and also comes with a handy carrying case, adding to its portability. The speaker can play while on charge, so if one is not too concerned about long battery life, then the JBL Flip 2 is definitely a speaker worth investing in. The JBL Flip 2 is a great speaker with clean, detailed sound, a great Bluetooth range and it acts as a speakerphone with its built in microphone. It does however have a very 'bright' audio quality and the audio quality does drop at lower volumes. Its battery life is also a little short. The JBL Flip 3 is a neat splashproof bluetooth speaker that is extremely portable. It come with a cool little carrying case and weighs in at only 1.65 pounds. Users loved how loud this speaker gets, suggesting that it easily fills a room with loud music. Although one review pointed out that certain music genres can distort, not everyone found this to be the case with most users stating the overall sound signature was lovely. The bass does not overpower all the frequencies to the point where they are all drowned out, but instead all the frequency ranges compliment each other in a pleasant manner to reproduce good quality sound. If one JBL Flip 3 is not enough for you, you can connect multiple Flips 3s together, creating a massive sound that would almost certainly annoy your neighbors. Its splashproof design makes it suitable for all weather conditions, with some reporting that they even use it in the shower. The JBL products are generally perceived as reliable products, with the JBL Flip 3 reinforcing these perceptions, delivering quality portable music playback. The JBL Flip 3 is a great portable Bluetooth speaker in every aspect, but there may be some distortion at incredibly loud volumes and the long-term durability may not be the best. 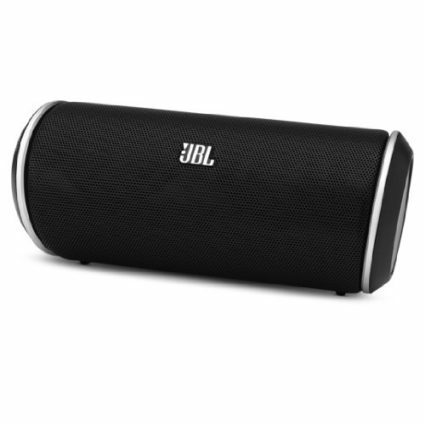 The JBL Charge 2+ is another great portable speaker by JBL that offers great sound and is awesomely portable. The bass may lack slightly according to some reports, but these reports were few. It conveniently acts as battery charger for your portable playback device too, which is a great feature for modern phones, as their battery life seems to be decreasing with every new feature they are released with. 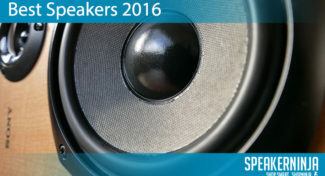 Users found that the speaker is really quite powerful, allowing for very loud music playback. They found that the controls were easy to use and the fact that it displayed its battery life via 5 dots was very convenient for monitoring the battery usage. One charge lasts around 12-hours and the splashproof feature makes it great for all weather conditions. It is obviously not waterproof, so we do not recommend dropping it into a water. One user was disappointed that one can not connect more than one speaker, but this does seem like it could be overkill. One can also take clear phone calls with the device, saving you the hassle of disconnecting every time you receive a phone call. The JBL Charge 2+ is a great portable speaker that allows one to enjoy music in most environments, providing awesome sound quality, loud playback and overall convenience. The reliable JBL Charge 2+ offers great sound and is great for almost any environment due to its splashproof and hardy design. The JBL Charge 3 portable Bluetooth speaker is another reliable speaker from JBL that is popular amongst Amazon customers. It comes in a range of colors and is a great size for portability purposes, reaching solid volumes that can easily annoy the next door neighbors. While many found its audio qualities to be awesome, some did point out that it can overemphasize the midrange frequencies quite a bit, requiring some bass and treble boosting on the relevant music player’s EQ. The JBL Charge 3 is said to look and feel solid, and it can take some hits. Coupled with its waterproof design, the Charge 3 is suitable for most environments. The product descriptions says it is able to play for around 20 hours off of a single charge and that it takes about 4.5 hours to become fully charged again. 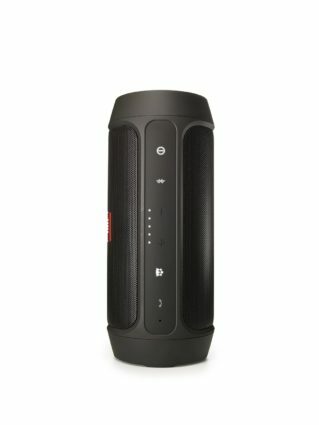 Some users were not too impressed with the fact that JBL does not include a carrying case, which seems to be a fairly standard inclusion with portable Bluetooth speakers these days. The JBL Charge 3 is a great Bluetooth speaker that can play for hours on a single charge, but it may require a boosted bass and treble EQ to match the reportedly overemphasized midrange details. The JBL charge 3 is a very portable Bluetooth speaker that reaches awesome volumes, but it may need its low and high frequencies boosted to match the clean midrange details. The DKnight Magicbox II is very portable Bluetooth speaker that received positive reviews for its two 40mm 10W acoustic drivers which product excellent sound quality and a lengthy battery life of 10 hours. It connects easily via Bluetooth and its Bluetooth V4.0 technology makes it compatible with any Bluetooth-enabled devices. The speaker is surrounded by soft touch rubber that stops it from slipping off or scratching surfaces. Weighing in at 11.5 ounces, this speaker has the power to fill up kitchens, living rooms or outdoor BBQ’s assuming it isn’t an overly noisy environment. The built-in 2000 mAh rechargeable battery enables a decent 10-12 hours of playtime, and, although it is the same size as the original magic Box, its 10W total acoustic drivers and enhanced passive radiator allow it to play at up to 30% louder volume and with richer bass than it’s predecessor. Its built in microphone makes it great for skype calls or phone calls and doesn’t require you to disconnect every time you receive a call as it has a phone button at the top that allows you to answer calls if you have your phone hooked up to it. It has a micro USB charging port and the playback/pause, rewind, fast-forward and volume buttons are conveniently located at the top along with the answer call button. All in all, with its affordable price, compact size and loud playback one can easily see why the ultra-portable DKnight Magicbox II is such a popular seller. GThe DKnight II is a great portable Bluetooth speaker with a solid battery life, great Bluetooth range and excellent sound. It may however not get loud enough for some and it doesn't come with a protective bag. The Amazon Tap Bluetooth speaker requires a simple tap for you to dictate commands into this Alexa-enabled device that is packed with functionality. When connected to WiFi or a mobile hotspot, you can stream from various music sites, such as Spotify, iheartRadio, amongst others. You can even ask to hear the news, the weather, along with various other neat functions. Some users found that its overall audio quality was however quite average, with TAP lacking bass and some higher frequencies. Others did enjoy it however, finding no real issue with the audio quality. Some had issues with it having to reconnect to Wi-Fi every time, with users finding this quite annoying. The device retains a 9-hour charge and uses a neat charging cradle to charge, requiring one to simply place the device in an upright position into its cradle. The Tap is really portable thanks to its compact design and size, unobtrusively delivering some of your favorite tunes. The Amazon Tap Bluetooth speaker’s audio quality has received mixed reaction, but the portability and functionality of the speaker makes it awesomely convenient device to keep one entertained. 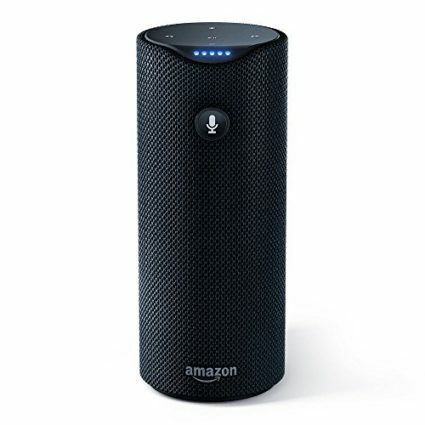 The Amazon Tap Bluetooth Speaker may cause some issues with certain WIFI routers, but the Alexa-enabled device makes it pretty convenient. The JBL Pulse 2 is a light hearted addition to the JBL Bluetooth speaker line with its color display that is supposed to add to some life to your music. It comes with a JBL Prism color sensor lens, allowing you to point and shoot at the color of your choosing, which the JBL 2 in turn displays and amplifies. One user found this slightly annoying, suggesting that finding the ideal color is not always easy, especially when you are in an area that is fairly deprived of the color that you want. The sound quality is said to be great. 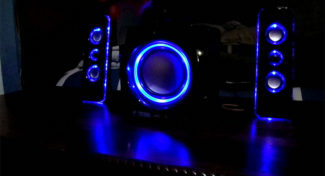 Users found that it drove out enough bass to satisfy their needs and found that the speaker was also able to play at loud volumes. On single charge, it can play for up to 10 hours before needing to be charged again. It has good microphone for taking and making calls too, with the speakerphone cancelling out echos and excess noise. The speaker weighs in at 1 pound and easily slips into a backpack. However, it does not come with a carrying case. It is fortunately quite durable and has a splashproof design for those pool parties or sudden downpours. 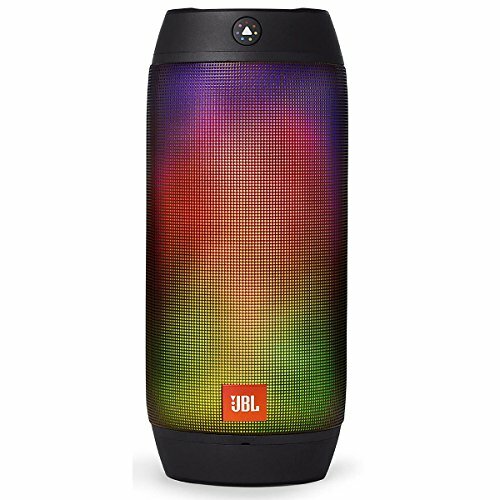 If the JBL Pulse 2 does not impress you with its light show display, then its sound certainly will, as it reportedly does have awesome audio. The JBL Pulse 2's light show effects may leave some users unfulfilled, but it does have good music playback qualities and a decent battery life. The UE BOOM 2 Bluetooth speaker is said to be an incredibly loud speaker. While some found its overall audio quality to be rather average, it does pump out 360 degree sound at a range of a 100 feet from its Bluetooth source. The device also comes with Siri and Google Now voice integration, meaning you can tell the device what it is you are wanting to listen to. This would require various firmware updates according to the product description, however. Many were impressed by its design, finding that its size and weight make it a very portable speaker. The portability and the waterproof and shockproof makes the BOOM 2 great for most environments and the fact that it can pair up with another UE speaker is awesome. It comes with a microphone that allows it to act as speakerphone and its battery life lasts up to 12 hours according to some users. The device charges with a MicroUSB cable and charges for around 3 hours. The UE BOOM 2 has an impressive volume and Bluetooth connection range, but the overall sound quality may be questionable. The UE BOOM 2 Bluetooth speaker is highly portable and is able to truly exert itself when it comes to volume, but the reportedly spotty Bluetooth connection and average audio may deter some. The Bose SoundLink Mini II has received praise for delivering a good bass, which Bluetooth devices generally seem to struggle with. Its audio quality in general received positive reviews when played through Bluetooth. Its AUX function seemed slightly problematic, however, with some users finding that the AUX input audio needs to be above a certain level before the SoundLink Mini II picked the audio up in anyway. They seem to suggest that there is some kind of minimum audio input threshold. 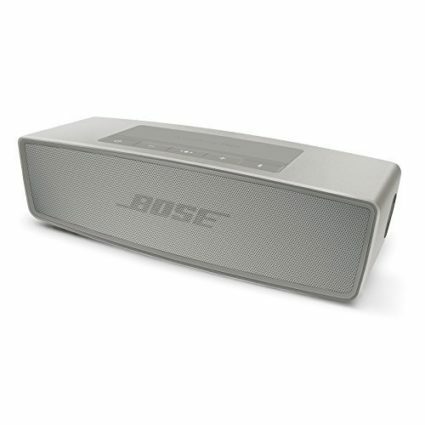 The Bose SoundLink Mini II is said to maintain a solid Bluetooth signal and the range is good. Although the device is slightly heavy for a portable speaker, it does seem to be built with durability in mind. It lasts around 10 hours on a single charge and charges with a MicroUSB cable, which many welcomed, as it seems the first of the SoundLink Mini speakers had a proprietary charger, and we all know how annoying it is to replace proprietary chargers when they get lost or break. The Bose SoundLink Mini II portable Bluetooth speaker delivers a full sound with a solid bass, but seems to be better suited for Bluetooth use, as its AUX input “minimum volume threshold” issue could annoy some. 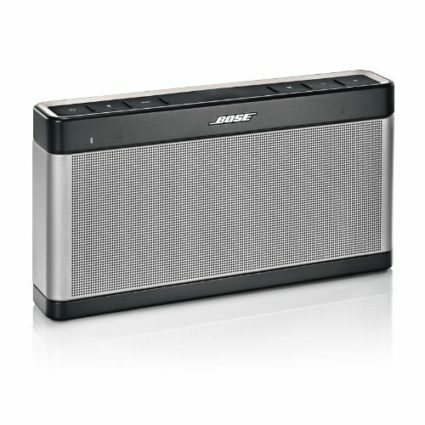 The Bose SoundLink Mini II delivers great audio with a solid bass, but it is rather heavy and has some reported volume issues when play via AUX input. 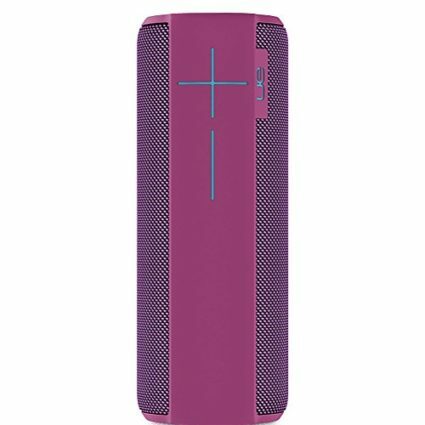 The UE MEGABOOM portable Bluetooth speaker is a durable speaker made for most conditions. It is IPX7-rated waterproof, which means that it can be dropped in water with a maximum depth of 1m and can stay underwater for up to 30 minutes. The speaker delivers decent audio, but it is rather pricey, with some suggesting that the audio quality could be better for its price range. 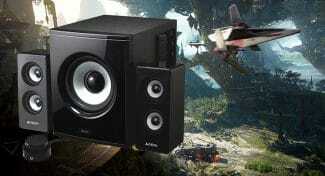 The speaker delivers 360 degree sound and thus gives a decent soundstage. Its MicroUSB charging is said to be reasonably quick and it is able to maintain a charge for an quite a long while. Some have stated that playing it at 50% volume has given them around 48 hours battery life. The MEGABOOM has a neat app that gives one great control over the device, allowing you to easily update the firmware and to download additional features, such as an EQ band controller and gesture control. While the UE MEGABOOM may be pricey for the audio quality it delivers, but it definitely has a solid battery life and a durable design and it is able to exert itself in terms of volume, blasting out audio at 360 degrees. The UE MEGABOOM is pricey for the reportedly okay audio quality, but its battery life, loudness, Bluetooth range and overall durability make it a worthwhile investment for those looking for a solid portable Bluetooth speaker. When one is looking for solid overall performance, one can’t go wrong with Bose. The Bose Soundlink III has proven to be quite a beast when it comes to audio quality as well as the volumes it can climb to while maintaining a clean sound that doesn’t become too muddy. Bose is well known for its bass and the SoundLink III delivers a clean bass that doesn’t drown out the mids and highs, regardless of the volume it being played at. The battery life is plenty. At 14 hours play time, one can easily play music throughout the day and well into the evening on a single charge. The Bose SoundLink III has an aux input, meaning one can play through other sources too, not limiting you to Bluetooth only. It comes with a 54-inch wall charger, giving it enough room for you to move it around while being charged. With its dimensions of 1.9 x 10.1 x 5.2 inches, it is incredibly portable, easily slipping into a backpacks. It may be a bit on the pricier side for Bluetooth speakers, but this Bose SoundLink III definitely does not have many shortcomings and you will definitely get your money’s worth. The Bose SoundLink III has a very well balanced sound. The vocals in music come out clear and the mid and high frequencies aren't drowned out by the bass. Excellent choice for audiophiles who like clean sound. 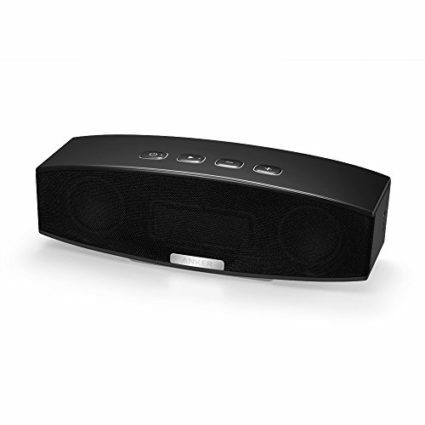 The Zenbre SoundBank Z3 bluetooth speaker is a bestseller that comes with a FM Radio along with TF card slot. Its built-in 1800mAh rechargeable lithium battery allows it a solid 10hours play time. With its two 5-watt cones and enhanced bass resonator, it packs quite a punch it allows for a quality listening experience. Customers have mentioned that it produces most music types at high volume without any real distortion. Customer reviews pointed out the speakers building, mentioning they really like the shape and the overall finish, enjoying its solid finish. It has a concise user manual, making it easy to use. This multifunctional device comes with a 3.5mm audio cable, allowing you to plug in other audio devices, along with its built in FM Radio function and its TF slot. Weighing in at 13.8 ounces and measuring 7.4 x 1.8 x 2.4 inches, this device is very portable. For the purpose of its hands free function, it has a dedicated voice that gives you your connection status, which some user did find a tad annoying. The Zenbre SoundBank Z3 is definitely worth consideration as it has impressed plenty of users with its solid audio performance and its multi-functionality. 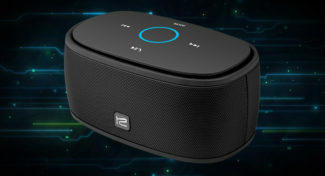 The Zenbre Z3 is a Bluetooth speaker for users who like listening to FM radio and who like resonant bass. Its Bluetooth transmission is great and can maintain a solid performance at high volumes. Its voice assistant function can become annoying however and the shared skip and volumes can take a while to get used to.